With the assistance and guidance of Stuart Kremzner, Blackwater Nordic plans to initiate a Masters Ski Program for the 2018-2019 ski season. The primary purpose is to cultivate fitness and camaraderie with area adult skiers of all levels. Residing in Bow, Stuart is a local guy. 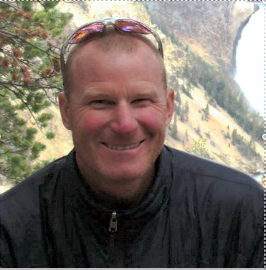 He led several very successful instructional clinics for the Blackwater Nordic membership last ski season. For 20 years he has coached and trained athletes of all abilities, and for many different sports and athletic objectives. Most recently he coached Concord High to multiple state championships. Stuart is currently Owner and Director of E3 Sports Performance. Visit the E3 website if you want more information about Stuart. Offer Nordic development, training, and technical expertise focused towards masters/post collegiate skiers. With secondary goals of developing a comprehensive full spectrum club that will grow, share and provide resources for community ski development. 2- Competitive elements - be a resource and organized community for skiers with competitive goals. The initial plan is to meet 1-2 days a week for organized training sessions. Click Here and complete the form if you wish to participate in the program or receive communications regading activities and events.